Just because you have a good story, an esteemed actor, or a knowledgeable director doesn’t mean you’ll end up with a good film. A good film is ultimately a collaborative effort, and the end result relies on many different factors that may or may not be controllable. I like to believe that the Oscars try to celebrate those moments in film where the pieces came together just right. Of course, some films think they can take shortcuts in order to reach the level of esteem that would be rewarded by the Academy. They utilize plots with themes and elements purposefully built to tug at your heartstrings. They hire directors and assemble casts and crews of people who have shown potential for critical appraisal. These Oscar-bait films are purpose-built to seek the Academy’s attention and the typical boost in box office earnings that such publicity would bring. But intent and reality are often two different things. While many Oscar-bait films have found success, many more have not. This is a look at some of the worst Oscar-bait fails of all time. They have all of the right pieces on paper, but the ultimate execution left something to be desired. These films were seemingly built only to win Oscars, and they all came up empty handed. Actually, their legacy ended up being much worse than just Oscar-hopeful films that fell short – today they are seen as blemishes on the filmographies of all involved. One of the most notorious Oscar-baiting fails of all time is Oliver Hirshbiegel’s portrait of Princess Di during the final two years of her life. On paper it seemed like it was a good idea – a dramatic reenactment of the tragic end to one of the most publicized personas of the 1990’s. But execution ultimately let it down. The film has been blasted by critics and audiences alike due to terrible direction and a poor script. On top of those challenges, the film also has to contend with the fact that it has been labeled historically inaccurate and dull. Some people praised Naomi Watt’s performance, but it also won her a Razzie Award for worst actress. She has since denounced the film. Director Oliver Hirshbiegel is a German film director who was trying to make it in Hollywood – never an easy thing to do. He blamed the film’s failure on the British Police being unable to accept the truth. The failure of Diana (and perhaps his finger-pointing) has relegated him to working mostly on foreign television ever since. 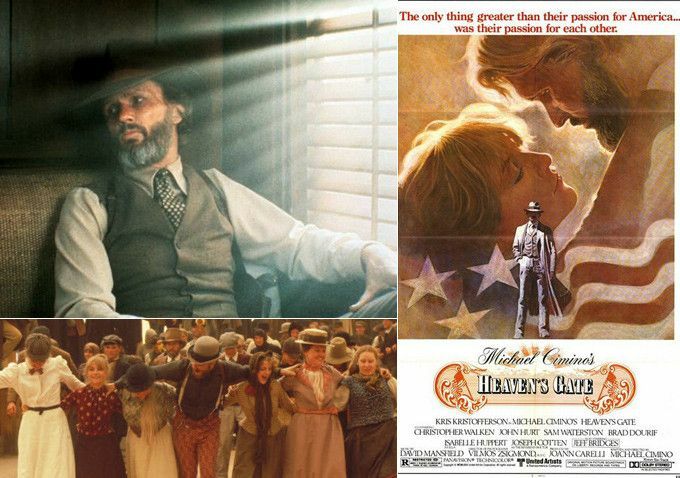 Heaven’s Gate was one of the most eagerly anticipated films ever made. Director Michael Cimino had been trying to get the film made since the early 70’s, but he couldn’t get the attention needed to get the project off of the ground. However, his success with Thunderbolt and Lightning, and then The Deer Hunter, made him the hottest up and coming director in Hollywood. He got all sorts of big names to sign up, and the film went into production. The studio essentially gave Camino a blank check to do whatever he wanted, and that’s exactly where everything went spectacularly wrong. Camino completely lost the forest for the trees and began obsessing over every detail of his film. It became extremely expensive, production went way off schedule, and the cast and crew started describing Camino as a dictator. In such conditions, no good film can be expected to emerge. The original cut was 5 hours and 15 minutes, and Camino’s insistence on keeping this length almost got him fired. The film ended up boring audiences and critics, and Cimino’s promising filmmaking career all but went up in flames. To be truthful, this film did end up getting an Oscar nomination, but that Oscar was for Best Set Decoration – not exactly the shiny gold statues that Cimino had in mind. Director Gabriele Muccino is best known for making dramas and romances. He had a huge hit on his hands with 2006’s The Pursuit of Happiness. This film took in-his-prime box office champion Will Smith and put him in a dramatic role. Audiences ate it up to the tune of more than $300 million at the box office. For Will Smith’s follow-up, he brought on Muccino to return to the formula where they found success. The problem was that the script for the new film ended up putting too much emphasis on extracting an emotional response from the audience at the expense of logical coherence. In essence, the film felt like a gimmick. It certainly didn’t help that the film had a very controversial ending – not a good way to leave a final impression. Audiences still showed up in droves, making Seven Pounds a rare profitable film on this list. Still, once critical reviews and word of mouth got around, the film’s Oscar potential dried up immediately. Clint Eastwood had an incredible run in the 2000’s. It seemed like every film he released had a chance to be a best picture contender. His films were also well received by audiences, seemingly bridging the gap between generations. Many of his films retold stories from the past, and perhaps he went too often to that well in the 2010’s. Films like American Sniper, Invictus, Sully, and J. Edgar had varying success. Each of these films featured big name actors in prominent roles, but perhaps audiences just weren’t as interested in their stories as Eastwood was. 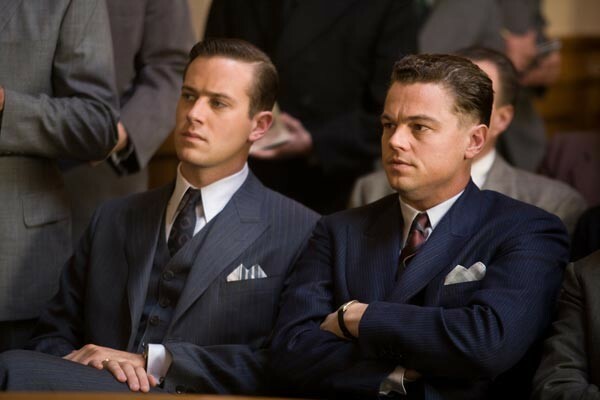 In J. Edgar, Leonardo DiCaprio did receive a lot of praise for his performance, including a Golden Globe nomination. But he was fighting against his poor makeup the entire time, and everything else in the film just wasn’t executed to Eastwood’s typical standards. It felt like everyone besides Leo was just going through the motions. What we were left with was an uncertain, inconsistent biopic. Ben Affleck’s career has faced its share of challenges, and on his most recent rebound to notoriety he began working behind the scenes as much as he worked on camera. The experience he gained working as producer-director-star on Argo and writer-actor on The Town led to his attempt to do everything on his next film, Live By Night. Unfortunately, Affleck couldn’t put the pieces together convincingly enough. Indeed, Affleck was riding high expectations because of his recent work (and Best Picture win at the Oscars). He attracted a great cast, put together a technically competent film, but forgot the excitement. Despite his involvement in the big-budget DC films, Affleck has since been unable to approach his Argo/The Town level of both critical and popular success. In 2014, two Sociologists from UCLA did a study to determine which film was the most blatantly obvious example of Oscar Bait. This one beat out over 3,000 examples released after 1985. When you take a look at the details, it makes sense. Love story set against a histrocially tragic moment in history? Check. Oscar-nominated director/writer at the helm? Check. Does the main character make Hollywood look good? Yes. 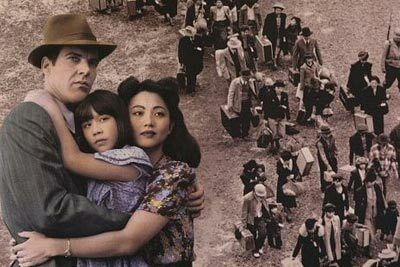 Does the film have a message against racism? Yes. But one thing the film lacked was a reason for its existence beyond trying to win a prestigious award. Audiences criticised the film for being boring, and it flopped in theaters. However, unlike the other films on this list, Come See the Paradise received largely favorable reviews. Next articleIt Is What It Is, with The Jackass! Episode 158: What The [email protected]*& Is DC Doing? !